Wade Ballard counsels businesses on the entire range of workplace issues and provides advice and representation to employers on employment law, including wage and hour disputes, wrongful termination, retaliation discrimination, harassment, and other issues of concern to employers. He represents management in labor and employment matters in the courts, in arbitration, and before government agencies, including the EEOC, the U.S. Department of Labor, the North and South Carolina Departments of Labor, the South Carolina Human Affairs Commission, and other agencies at the federal, state and local level. He has worked extensively with employers in many industries, including the healthcare, automotive, telecommunications, hospitality, and aerospace industries. Wade is certified by the Supreme Court of South Carolina as a Specialist in the area of Employment and Labor Law. 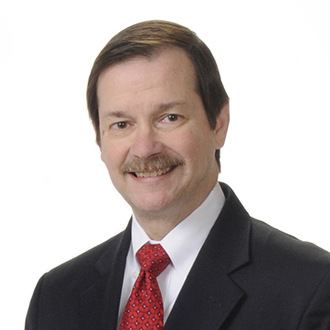 He is a former member and past chairman of the South Carolina Supreme Court's Employment and Labor Law Specialization Advisory Board. Wade is a past president of the Spartanburg Boys Home and a past President of Senior Centers of Spartanburg. He is a Past-Chairman and Board Member of the Spartanburg Area Chamber of Commerce and currently serves on the Executive Committee of the Upstate Workforce Board. He is also a graduate of Leadership Spartanburg. Recently won a defense verdict for a large client in a case alleging sexual harassment and retaliation by a company and its vice-president. Negotiated a de minimis settlement within a month of a collective action case being filed alleging wage-hour violations with regard to 50 employees being misclassified as supervisors. Successfully mediated a glass-ceiling case for a large employer, with the plaintiff receiving less than three percent of her formal demand. Obtained summary judgment on all 49 plaintiffs' claims filed in two related lawsuits in the U.S. District Court for the District of South Carolina alleging various state law contract, quasi-contract, equitable, and tort claims arising from the plaintiffs' terminations following an investigation by the company into employee misconduct. Recently prevailed a second time when two of the plaintiffs unsuccessfully appealed to the U.S. Court of Appeals for the Fourth Circuit, which affirmed the District Court's decision awarding summary judgment in favor of the company and dismissing plaintiffs' claims. September 22, 2015 - "The DOL's New Offensive: Dramatic Changes to the White Collar Exemptions and Independent Contractor Status"